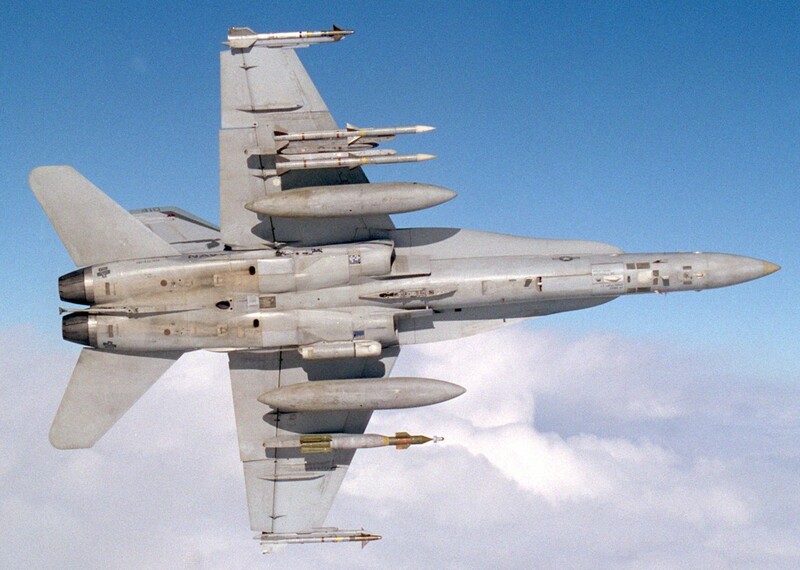 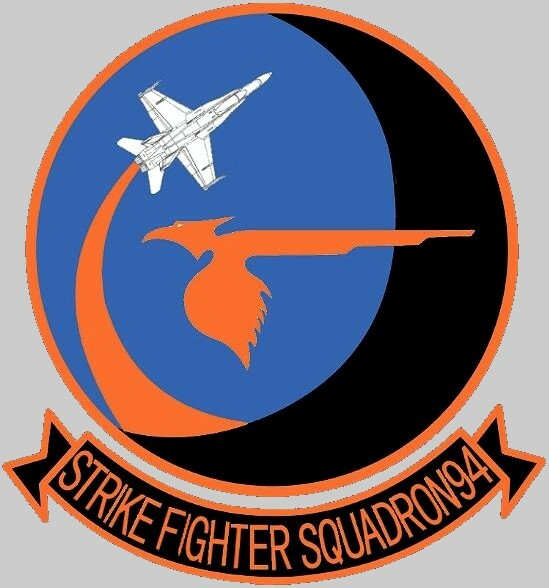 In June 1990, the Mighty Shrikes received their first F/A-18C Hornet and was redesignated Strike Fighter Squadron NINE FOUR (VFA-94) on Jan 1, 1991. 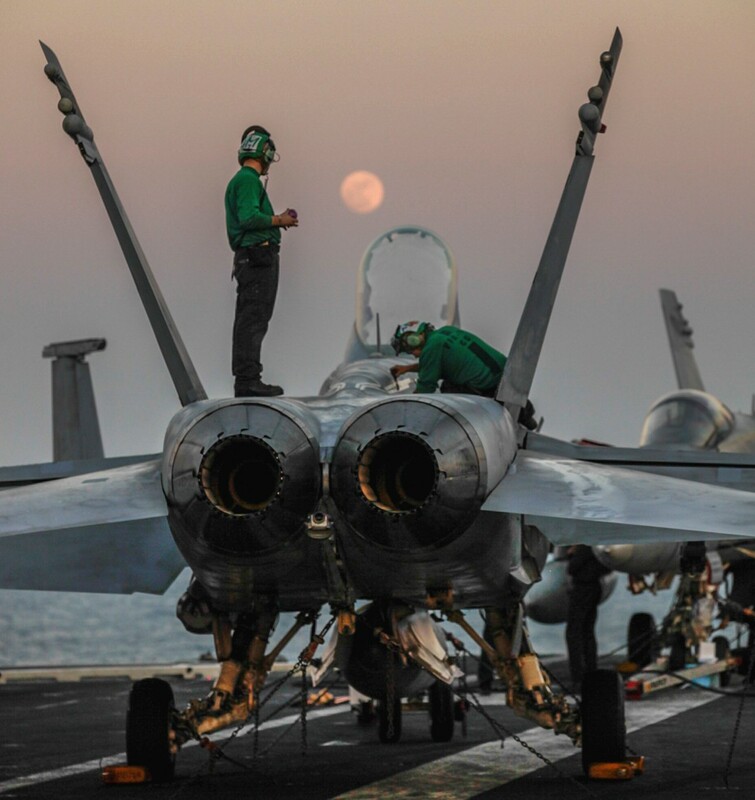 In May 1991, they deployed aboard USS Abraham Lincoln to the Persian Gulf in support of United Nations sanctions following the war in Iraq. 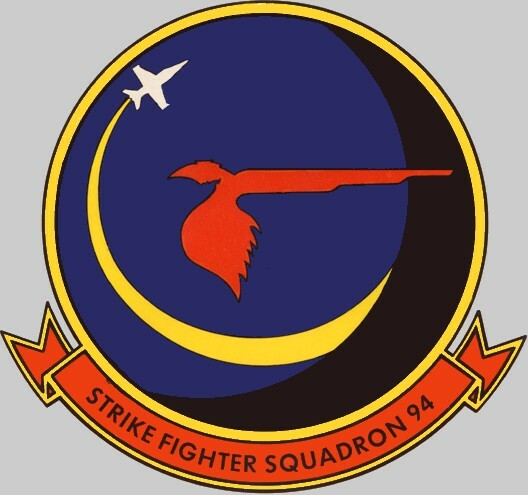 The Mighty Shrikes also participated in Operation Fiery Vigil, evacuating thousands of homeless people from the Philippines after the Mount Pinatubo eruption. 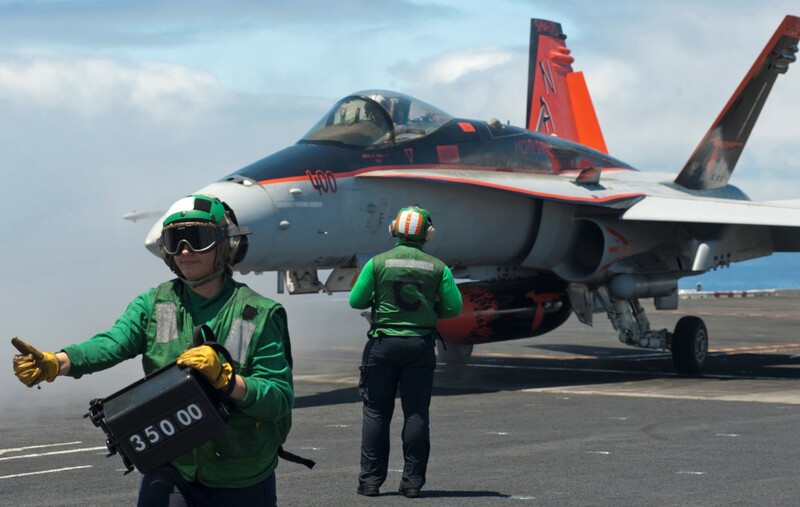 They subsequently received the Joint Meritorious Unit Commendation for their contribution to the disaster relief efforts. 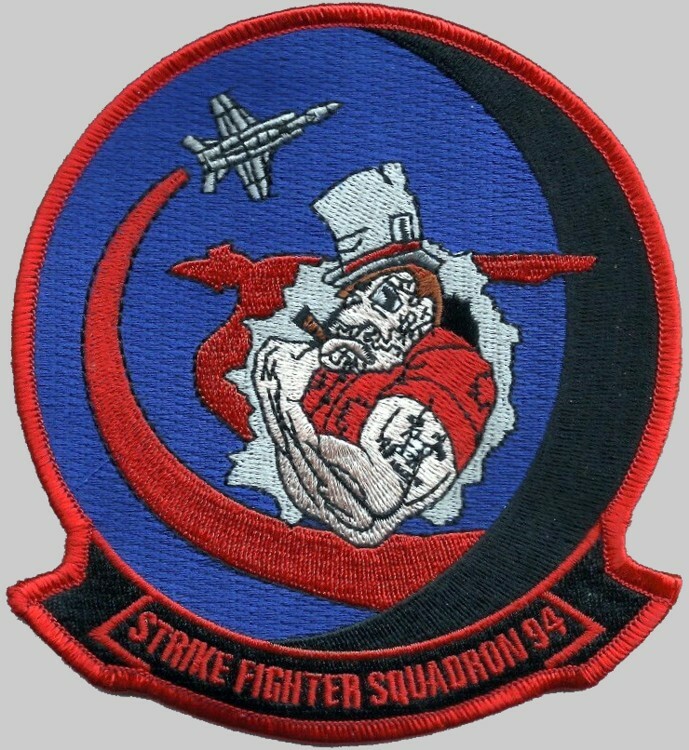 On 15 June 1993, the squadron deployed aboard Abraham Lincoln flying missions over southern Iraq in support of Operation Southern Watch. 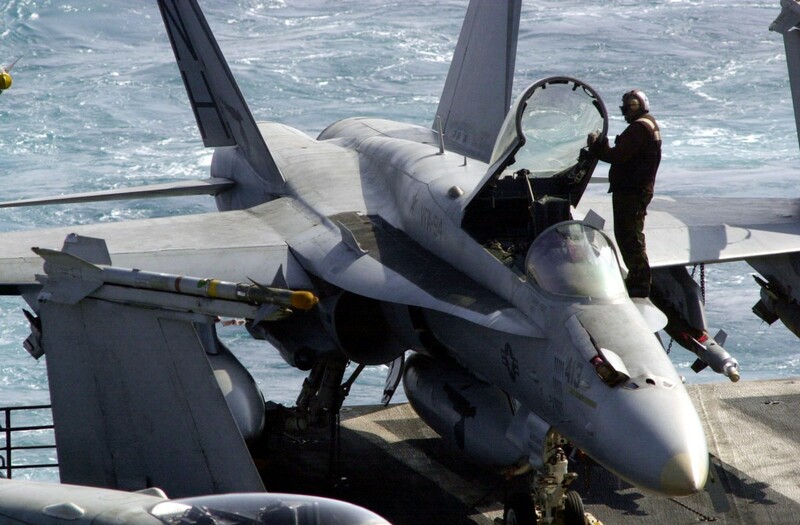 In October 1993, Abraham Lincoln left the Persian Gulf for Somalia to provide force protection for U.S. and other United Nations forces aiding in the humanitarian relief effort. 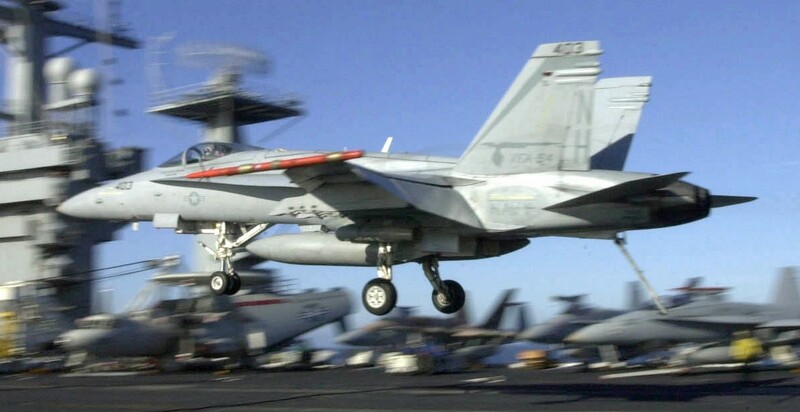 The Mighty Shrikes were key participants in Operation Vigilant Sentinel during their 1995 deployment, again aboard the USS Abraham Lincoln CVN-72. 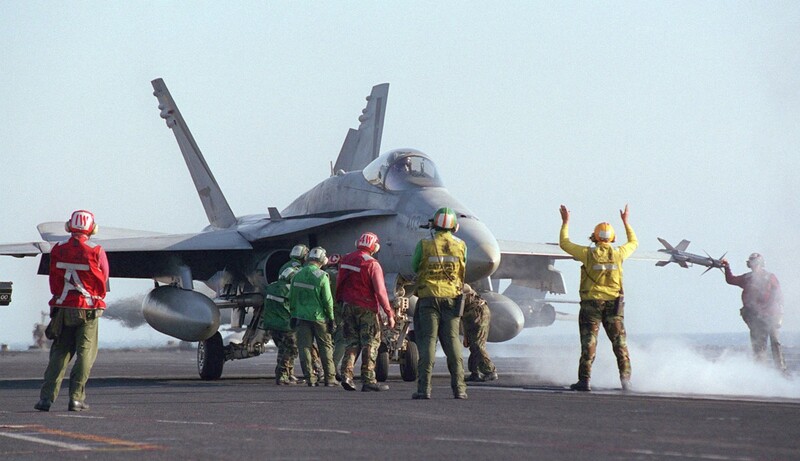 The Shrikes next deployed aboard Kitty Hawk on 10 October 1996 to the Persian Gulf in support of Operation Southern Watch. 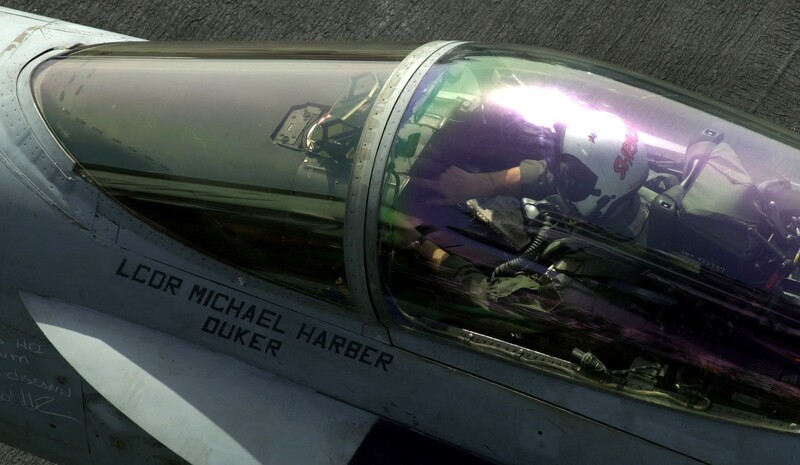 On 13 May 1997, the Mighty Shrikes deployed aboard USS Carl Vinson, and again on 10 November 1998 to the Persian Gulf in support of Operation Desert Fox. 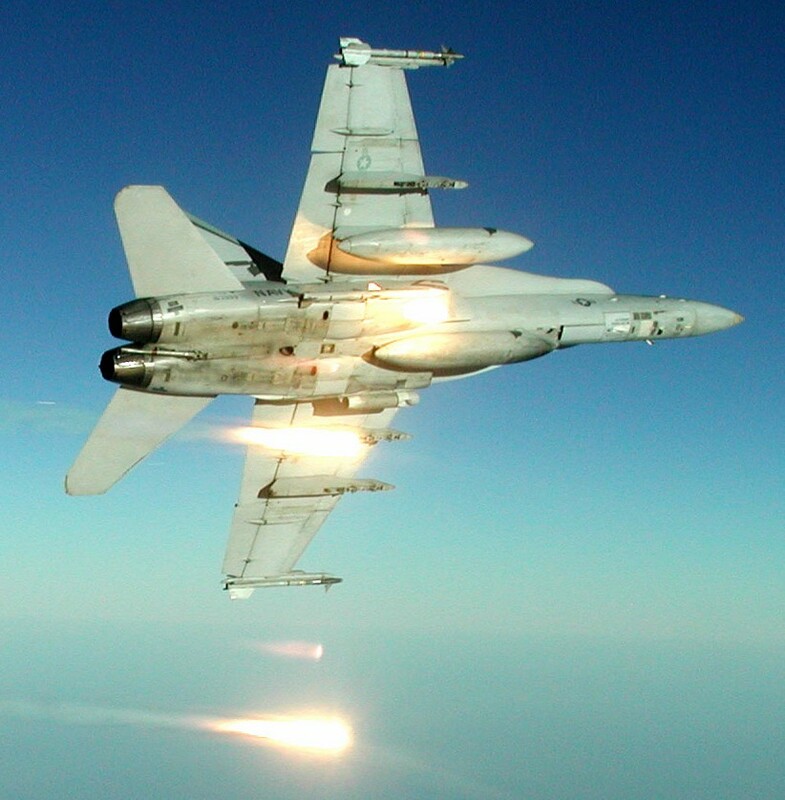 Following the terrorist attacks of September 11, 2001, the Mighty Shrikes led the first missions of Operation Enduring Freedom on October 7, 2001. 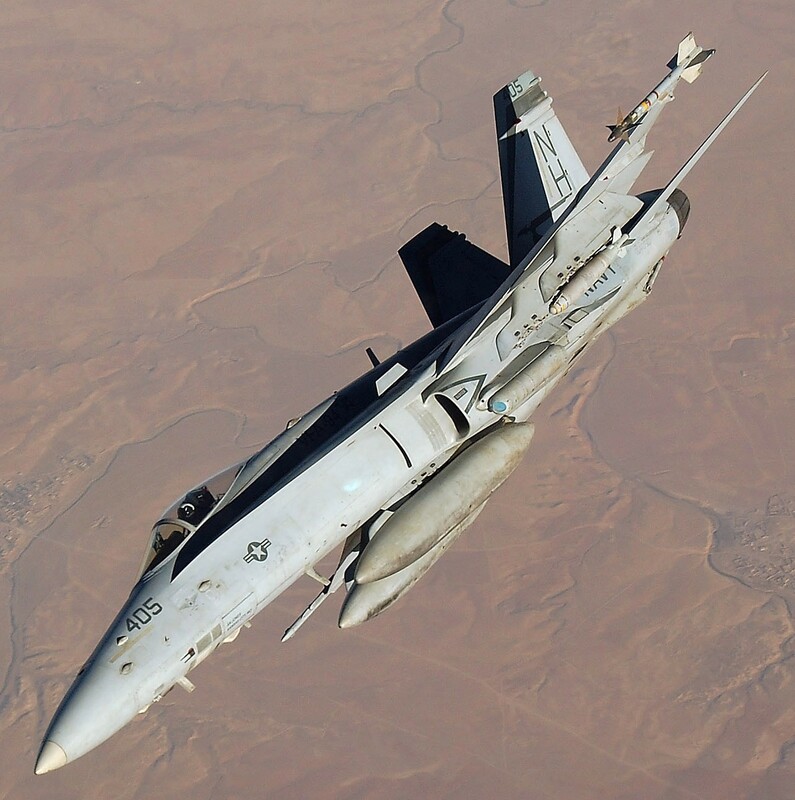 In the months that followed, VFA-94 and Air Wing Eleven participated in precision strikes against key Taliban locations in Afghanistan. 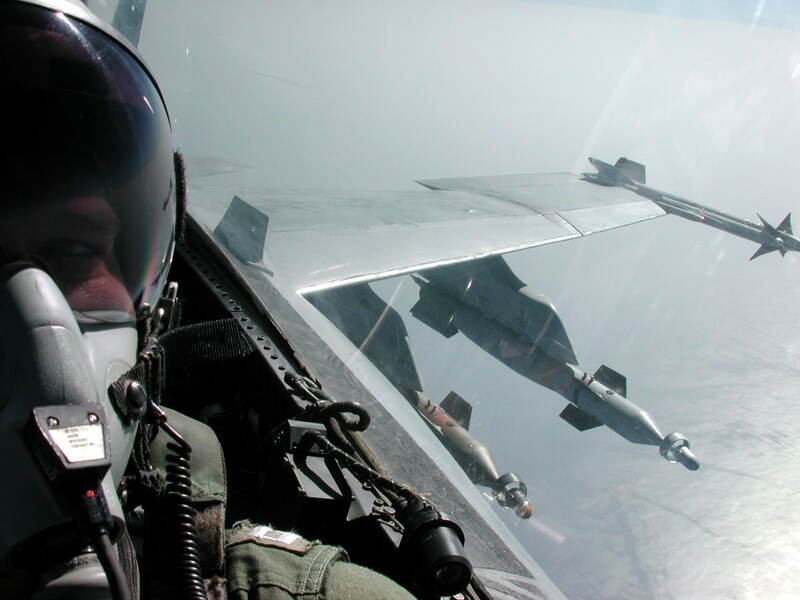 The squadron amassed 664 combat sorties and expended 550,000 pounds of ordnance on targets in Afghanistan. 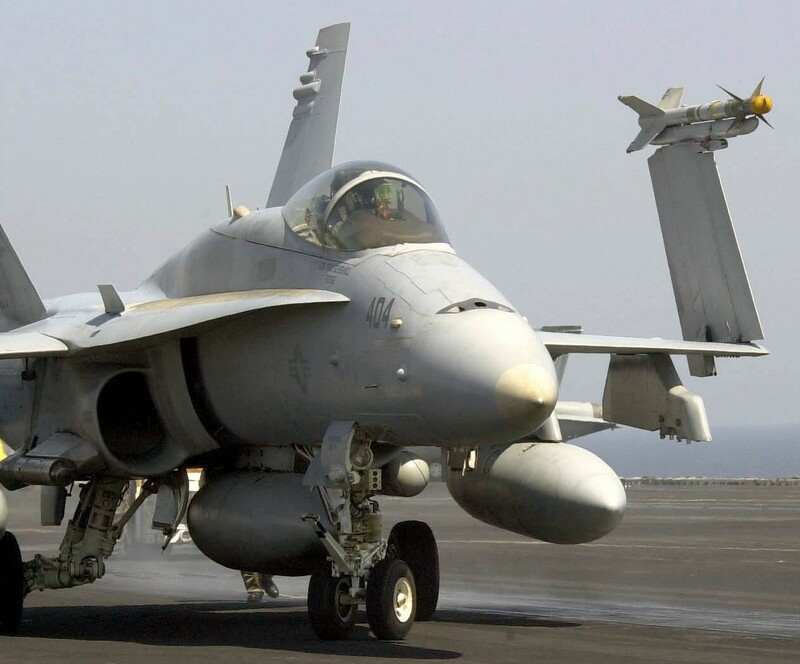 The squadron returned home on 19 January 2002. 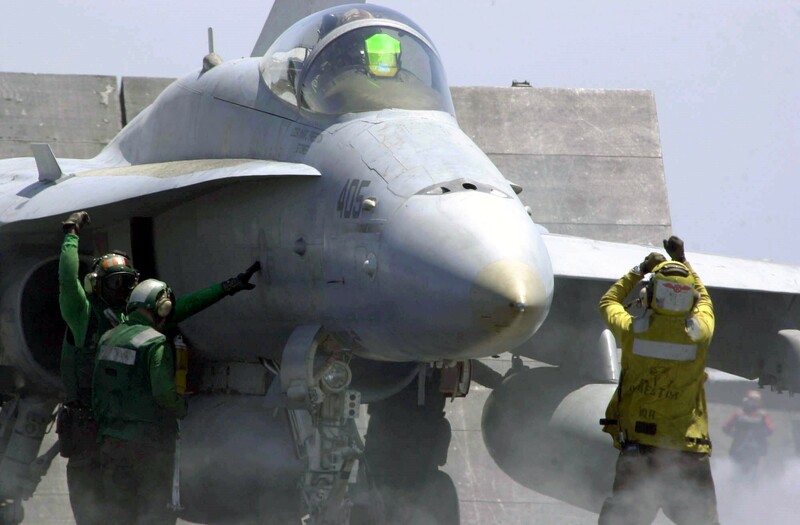 The squadron deployed again on 3 March 2003 for an eight-month combat deployment aboard USS Nimitz (CVN-68) with CVW-11 in support of Operation Iraqi Freedom. 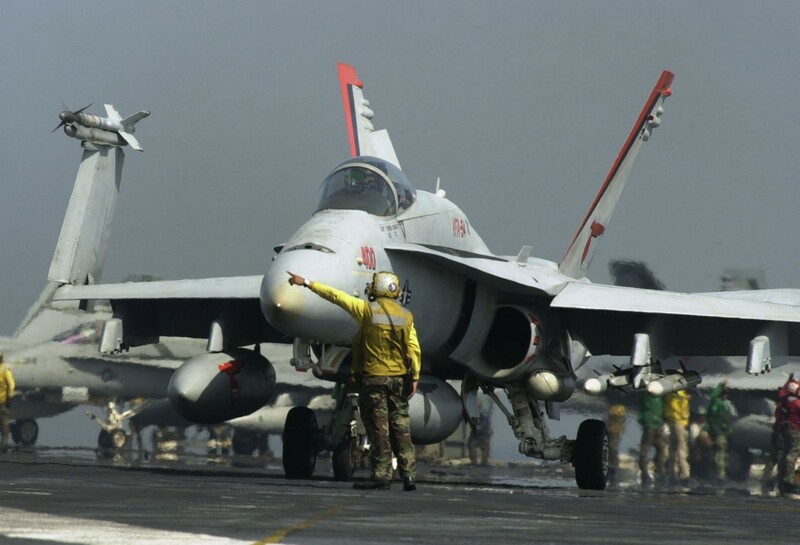 On 7 May 2005, the squadron again deployed aboard Nimitz to the Persian Gulf in support of Operation Iraqi Freedom. 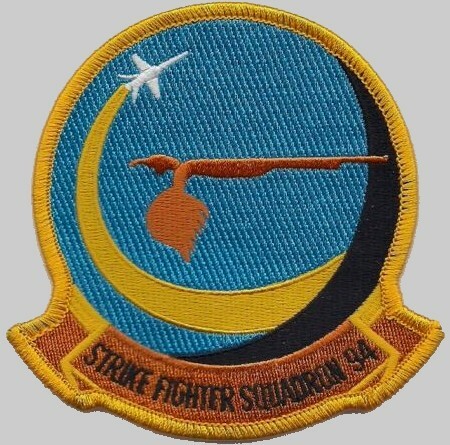 In Oct 2006, the Mighty Shrikes successfully completed the Strike Fighter Advanced Readiness Program, in preparation for the squadron's transition to an expeditionary role. 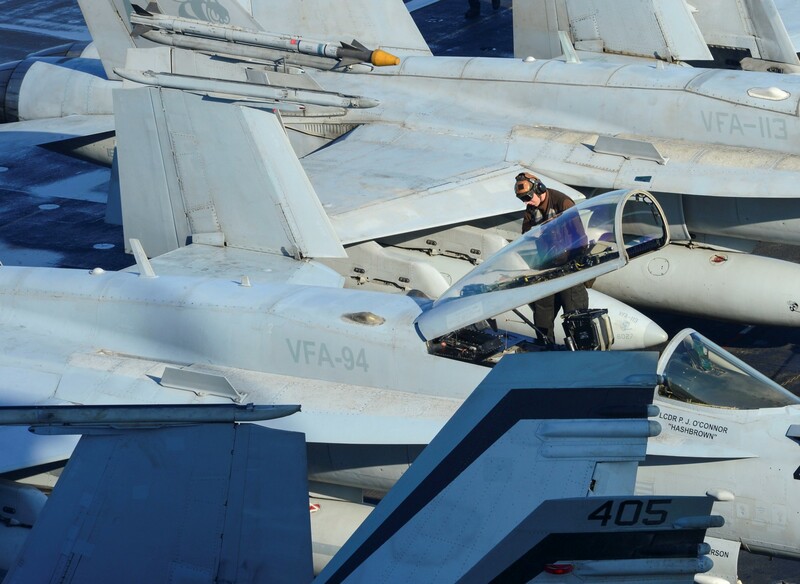 In January 2007, VFA-94 joined their sister squadron VFA-97 as one of only two F/A-18 squadrons to deploy overseas as part of the Unit Deployment Program(UDP). 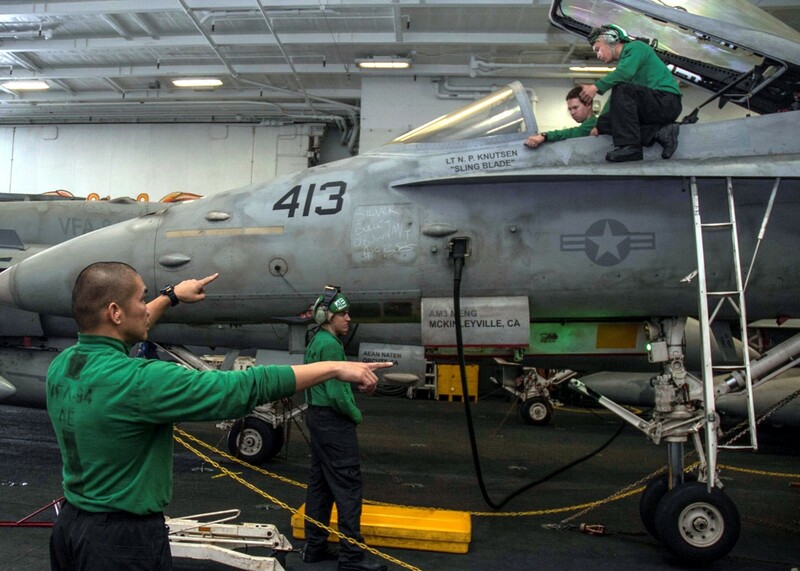 Strike Fighter Squadron 94 departed Naval Air Station Lemoore, CA on its first expeditionary evolution to MCAS Iwakuni, Japan. 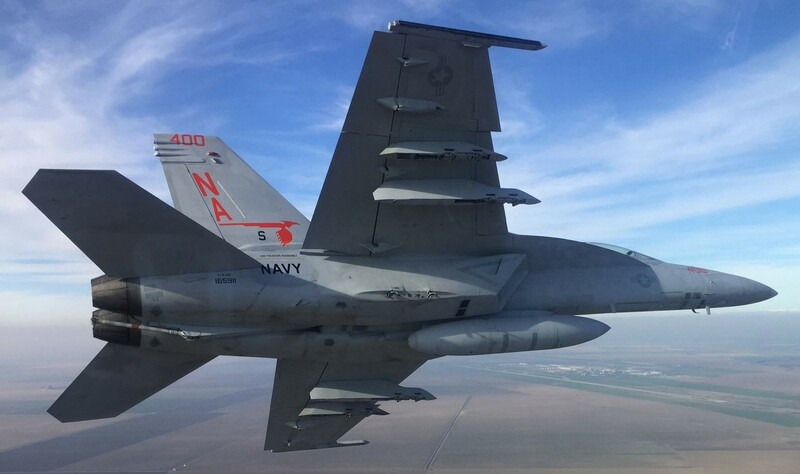 The squadron traversed nearly 7,000 nautical miles (13,000 km) of open ocean, totaling almost 18 flight hours per jet. 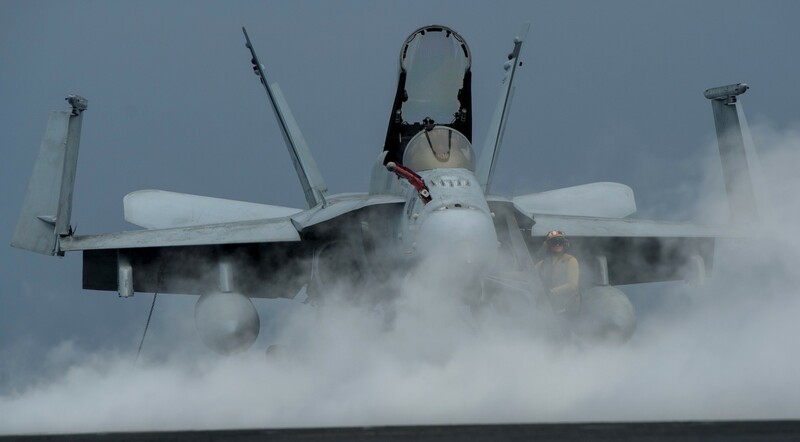 During the deployment, VFA-94 participated in Operation Foal Eagle, the first ever U.S. Navy expeditionary deployment to Korea, and Operation Cobra Gold in Thailand. 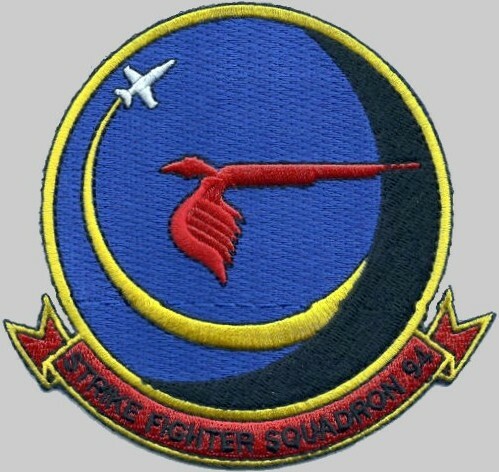 The squadron received numerous accolades for success in number of sorties completed and overall mission accomplishment. 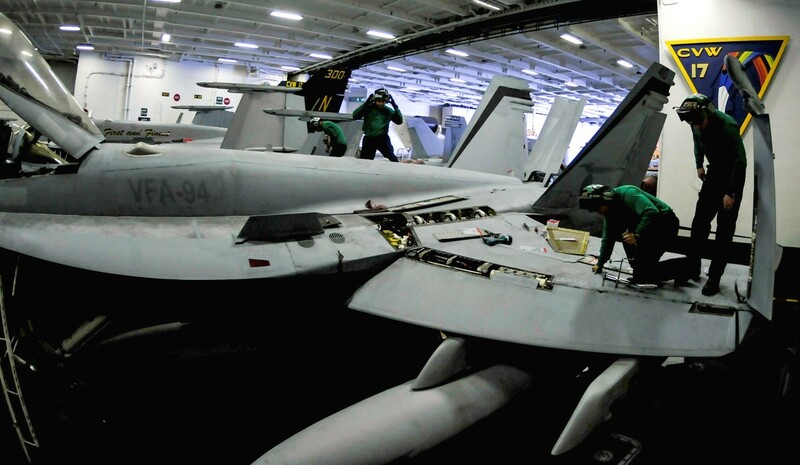 In July 2008, VFA-94 completed their second UDP deployment to Japan in support of the Global War on Terror and Pacific Operations. 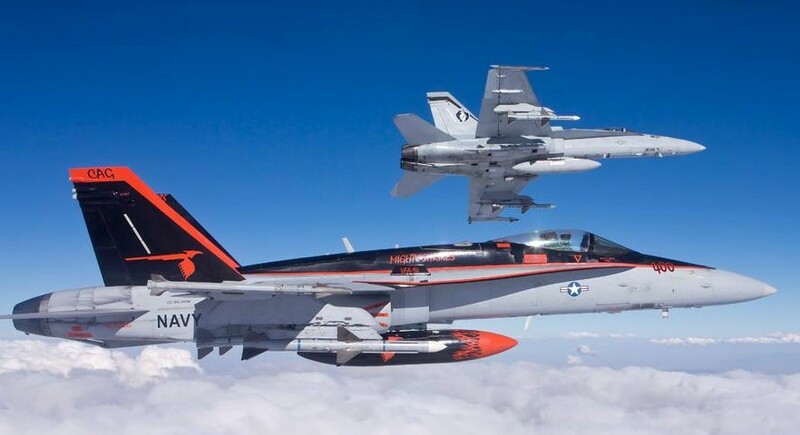 The Mighty Shrikes participated in Exercises Talon Vision at Clark AFB, Philippines; Wolmi-Do Fury at Kadena AFB, Okinawa; and Exercise Lava Viper at Hickam AFB, Hawaii. 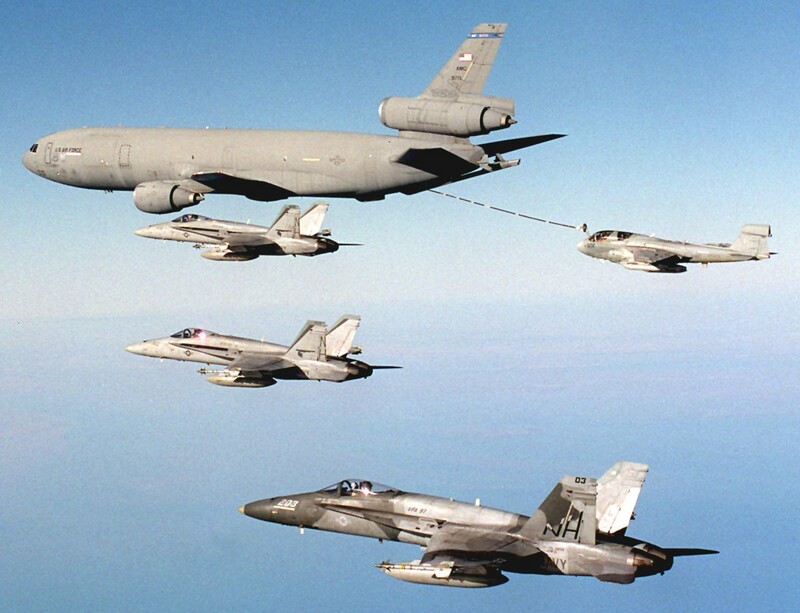 The Shrikes returned home in February 2009 after completing this successful 7 month deployment. 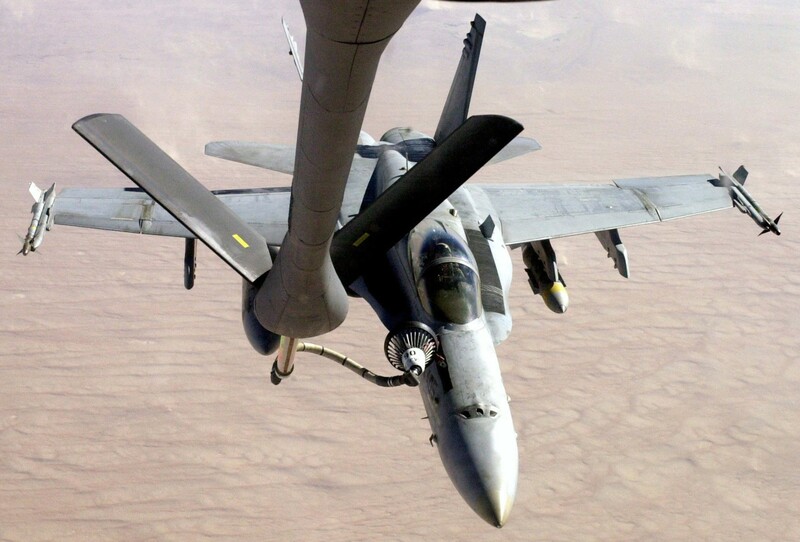 The squadron has been awarded two Joint Meritorious Unit Awards, five Navy Unit Commendations, five Meritorious Unit Commendations, five Battle Efficiency Awards, two Navy Expeditionary Medals, three Armed Forces Expeditionary Medals, and Global War on Terrorism Expeditionary Medal and a Global War on Terrorism Service Medal. 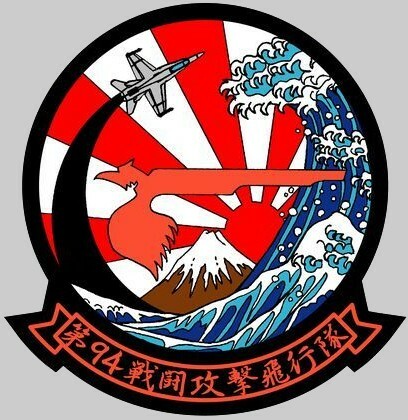 After return, in January 2012, from UDP duties in Japan, the squadron returned stateside to NAS Lemoore, California, but apparently was not assigned to one of the West Coast air wings until around August 2012, as it temporarily took sister Strike Fighter squadron "Fist of the Fleet" (VFA-25) place within CVW-17, as the fourth unit (4xx modex), as -25 was upgrading to the "Echo" Super Hornet, single-seat version, from the long time used, (legacy) Hornet F/A-18C. 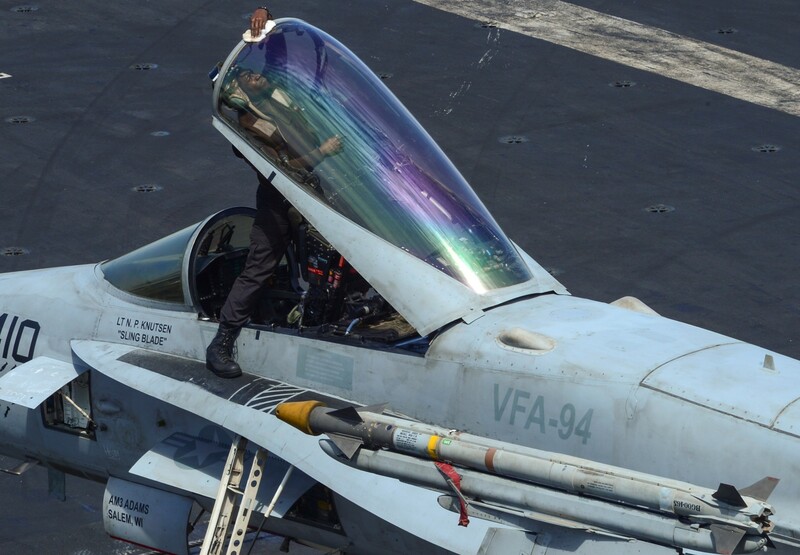 VFA-25 was returned to its former slot within CVW-17, thus replacing VFA-94, which again has not been rotated,to date to another PACFLT or LANTFLT air wing. 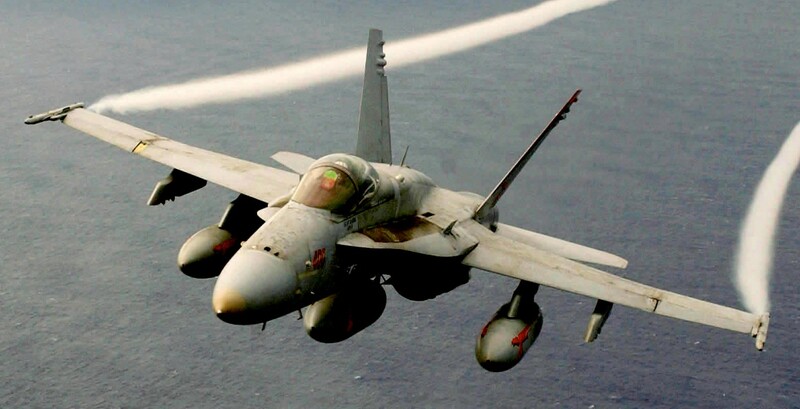 In that same period, the Navy changed the CVW code letters, to be inline as a Pacific Fleet(PACFLT) assignment, instead of its Atlantic Fleet letter designation, 'AA', used for the CVW since 1966, to 'NA', a formerly used code for both VFA(AW)-4,and Air Task Group One (ATG-1) from October 1951 to Feb 23, 1959.